As Vice President of Investments, Paul has chief responsibility for business development and capital deployment in Pennsylvania and the Mid-Atlantic. His primary focus is on land acquisition, entitlement, development, and marketing of modern logistics facilities for inventory and build-to-suit requirements. A commercial real estate veteran of nearly 20 years, Paul has overseen the development, leasing and management of more than 12 million square feet of industrial properties in the Northeast United States. His past professional duties include asset management, development, sales, acquisitions, and leasing of industrial real estate portfolios. Prior to joining Core5, Paul opened an office in the Northeast for Ridge Development Company serving as a Senior Vice President with primary responsibilities of land acquisition, development, and capital deployment. 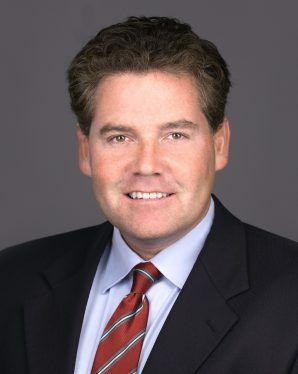 He joined Ridge after serving as Executive Vice President for JLL in the Philadelphia region in the industrial properties group. A span of nearly 17 years was spent serving in several roles for Industrial Developments International, most recently as the Vice President of Real Estate Development. Paul acquired a Bachelor of Arts degree in Business Management from Franklin & Marshall College in Lancaster, Pennsylvania and a Masters of Business Management (MBA) from the University of Georgia in Athens, Georgia. A licensed realtor in the state of Pennsylvania, he holds memberships with NAIOP, the Lehigh Valley Economic Committee and the Harrisburg Chamber of Commerce. Active in the community through volunteer efforts, Paul serves for the charities Big Brothers Big Sisters, Toys for Tots and Habitat for Humanity.